A sales force is only one of many tactics needed to reach your company goals. A comprehensive marketing plan will help you navigatethrough a sea of competitors and business challenges. See the light and find out why marketing matters! Research will help you identify your goals, value proposition, target, brand awareness, communications channels, and more. 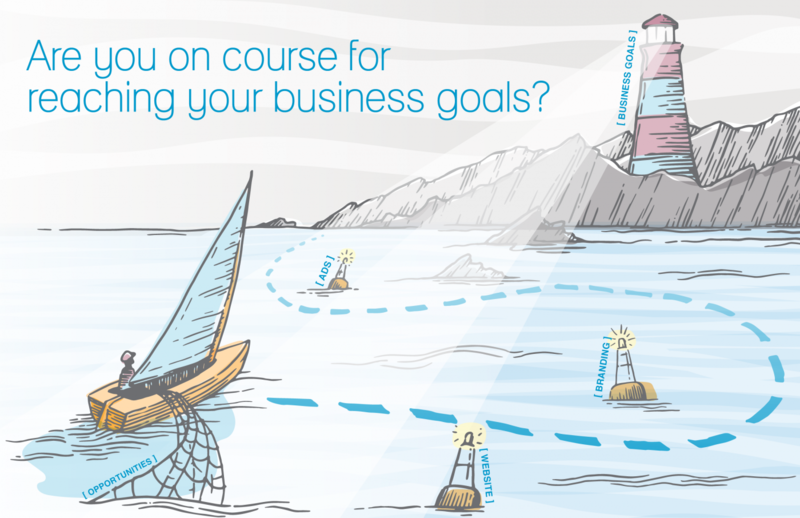 It’s your compass to ensure you have the background needed to create your marketing strategy. Without a marketing strategy, your boat will float without clear direction. jamgd can develop the correct combination of tactics and timing. An effective strategy will help ensure that you net great results. Tactics are the buoys that keep your boat heading in the right direction. We have over 25 years of experience in creating logos, taglines, websites, social media, ads, brochures, signage, videos, packaging, displays, and more. Reviewing your results will help you adjust your future strategy. We ensure metrics are built into every touchpoint so you can assess your ROI and adjust your plans to keep you on course.